Appellant :- Authorized Controller, Sri Anar Devi Khandelwal Mahila Poly. Respondent :- Sunil Kumar Srivastava And 3 Ors. The appellant is an aided educational institution governed by the provisions of the Uttar Pradesh Providhik Shiksha Adhiniyam 1962. The challenge in these proceedings is to an order of the learned Single Judge dated 9 December 2015 in a writ petition instituted by the first respondent challenging an order of 27 December 1993 dismissing him from service. The learned Single Judge has come to the conclusion that the disciplinary proceedings were vitiated by non compliance with the principles of natural justice. The charges against the respondent involve serious allegations of misdemeanor relating to the embezzlement of the funds of the institution and obtaining appointment on the basis of fabricated documents. Finding that there was no inquiry in the eyes of law after the denial of charges by the respondent, the learned Single Judge has set aside the order of punishment but left it open to the Management to conclude the inquiry proceedings in accordance with the principles of natural justice. Liberty has been granted to the Management to place the respondent under suspension and the issue of back wages has been directed to abide by the result of the disciplinary inquiry and the decision which may be taken by the disciplinary authority. The authorized controller of the institution has filed the special appeal against the judgment of the learned Single Judge. "...Parties are not at issue on the factual proposition that no date or time was fixed in the enquiry, and none of the witnesses were examined. The enquiry officer has proceeded to return his findings merely on the strength of the chargesheet, reply submitted by the petitioner, and the materials available on record. 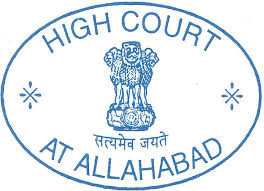 In the opinion of the Court, this enquiry is no enquiry in the eyes of law, inasmuch as once petitioner has denied the charges levelled against him, the enquiry officer was required to proceed further in the matter, and conduct an enquiry in order to ascertain facts, so as to determine the guilt of the petitioner. This could have been done by the enquiry officer only by holding an enquiry, for which a date was required to be fixed. The enquiry officer was required to associate petitioner in such enquiry, and record all evidence etc. in the presence of petitioner, and accord an opportunity of cross-examination to the petitioner in respect of the materials relied upon against him. In fact, in the present case, no such procedure has been followed, and without holding any enquiry whatsoever, the enquiry officer has proceeded to submit his reply. In such view of the matter, this Court finds that in fact no valid enquiry has been conducted in the matter, and the enquiry report could not have been relied upon for returning a finding of guilt against the petitioner. The order of punishment under challenge, based upon such report of the enquiry officer is not liable to be sustained. In view of the finding returned on this question, it is not necessary for this Court to examine the question relating to service of the enquiry report upon the petitioner or the question as to whether the order has been passed by a competent authority." On this foundation, the learned Single Judge set aside the order of dismissal dated 27 December 1993 that was passed against the respondent. However, liberty was granted to the Management to place the respondent under suspension and the back wages were directed to abide by the decision of the disciplinary authority after the disciplinary proceedings are concluded in accordance with the principles of natural justice. On behalf of the appellant, it has been submitted that (i) in the present case, the inquiry was not governed by any statutory rules, the appellant being an aided educational institution, and there was no requirement of conducting a personal hearing during the course of the disciplinary inquiry; (ii) after the charge sheet was issued to the respondent, a due opportunity was granted to him to inspect the documentary material against him; (iii) no prejudice is demonstrated to have been caused to the respondent by the mere absence of an oral hearing during the course of the disciplinary inquiry; (iv) the order of punishment having been passed on 27 December 1993, it would be manifestly inappropriate to set aside the punishment nearly 22 years thereafter, as the learned Single Judge did by the impugned judgment dated 9 December 2015. The submission that prejudice must be demonstrated to be caused by non observance of the principles of natural justice, as urged on behalf of the respondent is based on the observations of the Supreme Court in Managing Director, ECIL vs. B Karunakar1. The submission to the effect that interference at this stage is not warranted is advanced by placing reliance on the decision of the Supreme Court in Dharmarathmakara Raibahadur Arcot Ramaswamy Mudaliar Educational Institution vs. Educational Appellate Tribunal2. Reliance has also been placed on a decision of the Supreme Court in Union of India vs. Alok Kumar3. The factual position is not in dispute. The charges against the respondent were of a serious nature implicating acts of embezzlement and misuse of funds of the educational institution. The second aspect of the charge related to an allegation of obtaining appointment on the basis of fabricated documents. The respondent submitted a response to the charge sheet denying the charges. Admittedly, as the learned Single Judge noted, no date or time was fixed for the inquiry and no witnesses were examined by the Management. The Inquiry Officer proceeded to record findings merely on the basis of the charge sheet, the reply submitted by the respondent and the materials on record. The respondent was not associated with the inquiry after he had denied the charges nor was any oral evidence adduced in support of the allegation of misconduct. Since no oral evidence was adduced, there was no cross examination. In other words, it is evident that absolutely no procedure was followed, consistent with the principles of natural justice. After the inquiry was concluded, a notice was addressed to the respondent on 14 December 1993 stating that the charges had been proved and calling upon him to submit his explanation. The contention of the respondent is that a copy of the inquiry report was not served upon him: this aspect has not been inquired into by the learned Single Judge. But the material on the record in the form of the counter affidavit of the appellant does indicate the position, even according to the appellant. According to the appellant, though the inquiry report was submitted to the respondent, he denied receipt of the report whereupon, a copy of the report was submitted to him by a letter dated 18 December 1993 of which the postal receipt is dated 20 December 1993. The respondent was removed from service by an order dated 27 December 1993 barely one week after the registered packet was dispatched. On these facts, there can be no dispute with the legal position that the inquiry was conducted manifestly in breach of the principles of natural justice. The charges to be inquired into were of a serious nature involving embezzlement and the obtaining of appointment on the basis of fabricated documents. Embezzlement involves the diversion of funds and the conversion of funds of the employer by the employee for his own personal use. These charges need to be established on the basis of material which must be proved in the disciplinary proceedings and as part of that process the employee must have a reasonable opportunity of defending himself, questioning the veracity of the evidence and adducing his own defence during the course of the disciplinary inquiry. In the present case, there was no inquiry at all. The judgment of the Supreme Court in Managing Director, ECIL (supra) holds that where a breach of the principles of natural justice lies in the failure to furnish the report of the Inquiry Officer to the delinquent employee at the disciplinary proceedings, the Court should cause a copy of the report to be furnished if he had not already secured it. Since the Court would be applying its judicial mind to the question and would be required to furnish reasons for setting aside or affirming the order of punishment, it is only if it finds that the furnishing of the report would have made a difference to the result of the case, that the order of punishment should be set aside. Where the punishment is set aside on the ground of prejudice being caused, the Management should be granted liberty to proceed with the inquiry by placing the employee under suspension and continuing the inquiry from the stage of furnishing him a copy of the inquiry report. In the present case, the breach of the principles of natural justice has occurred even before the report of the Inquiry Officer was formulated since, as we have noted, there was no inquiry at all. It needs no emphasis to conclude that in these facts, the failure to hold an inquiry properly called, consistent with the principles of natural justice, is a matter of serious prejudice since the findings of embezzlement and misdemeanor would result in and have resulted in an order of dismissal. The judgment in Managing Director, ECIL has been followed by the learned Single Judge by granting an opportunity to the Management to conclude the inquiry afresh in accordance with the principles of natural justice from the stage at which the breach had occurred. "...Even before us when we granted learned counsel an opportunity to give any prima facie or plausible explanations on record to defend her actions, nothing could be placed before us. Giving of opportunity or an enquiry of course is a check and balance concept that no one's right be taken away without giving him/her opportunity or without enquiry in a given case or where the statute requires. But this cannot be in a case where allegation and charges are admitted and no possible defence is placed before the authority concerned. What enquiry is to be made when one admits violations? When she admitted she did not join M.Phil. course, she did not report back to her duty which is against her condition of leave and contrary to her affidavit which is the charge, what enquiry was to be made? In a case where the facts are almost admitted, the case reveals itself and is apparent on the face of the record, and in spite of opportunity no worthwhile explanation is forthcoming as in the present case, it would not be a fit case to interfere with the termination order"
It was in these facts, that the Supreme Court observed that since the termination had taken place more than 20 years earlier and the employee was not, in fact, working in the institution and had obtained alternate employment, no case was made out for confirming the orders which had been passed against the employer. The decision, therefore, turns clearly on the admission of guilt by the employee. The decision in Alok Kumar (supra) was a case where the disciplinary inquiry was challenged on the ground that Rule 9(2) of the Railways Servants (Discipline and Appeal) Rules, 1968 did not permit the appointment of a retired railway employee as an Inquiry Officer. This submission was found to be without any merit. Moreover, the second aspect which weighed in the judgment of the Supreme Court was that non furnishing of the "CVC notes"4 was not a matter of substance since it had not even been averred that these notes were part of the report and were considered by the disciplinary authority. In fact, in the judgment of the Supreme Court, it has also been noticed that in such a case, the onus is upon the employee to show that non-furnishing of formal documents have resulted in de facto prejudice. For these reasons, we are unable to subscribe to the submissions which have been urged on behalf of the appellant. The learned Single Judge, finding that the inquiry was vitiated by a manifest failure of the principles of natural justice, has protected the interest of the appellant by granting liberty to the appellant to conclude the inquiry from the stage at which the breach had occurred; by granting an opportunity to place the respondent under suspension and by directing that while no back wages would be payable at this stage, the decision on back wages will abide by the result of the disciplinary proceedings and the order of the disciplinary authority after conclusion of the proceedings. We, therefore, decline to entertain the special appeal. The special appeal is, accordingly, dismissed. There shall be no order as to costs.